In the Europ ean tradition of candle decorating, Candles by Design takes great pride in offering you our unique, individually hand-decorated candles. Suitable for a wide range of occasions, they are embellished with ornaments and lettering crafted in wax in our studio in Auckland. 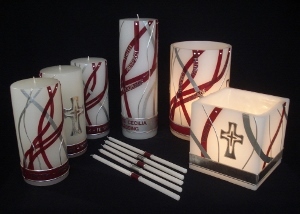 In addition, we provide candles featuring your own photographs, logos, crests and printed text - from one candle to hundreds. European craftsmanship combined with innovative New Zealand design! The business has been formed around the skills and experience of the owner, Brigitte Oberndorfner. All candles are created with a passion for style, quality and perfection. 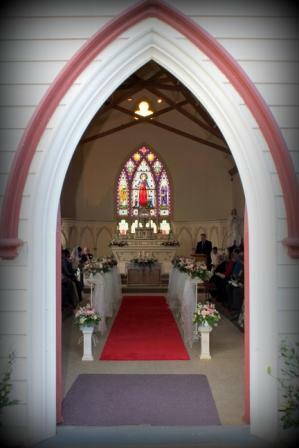 Whether traditional, romantic or contemporary in form and colour, every care is taken to meet your personal requirements. 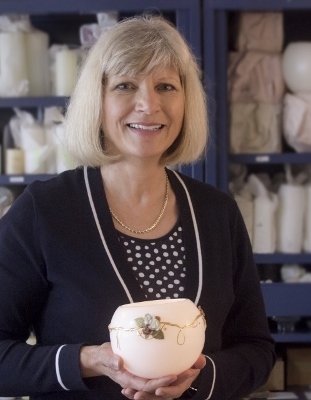 Please click here to learn more about Brigitte and Candles by Design. 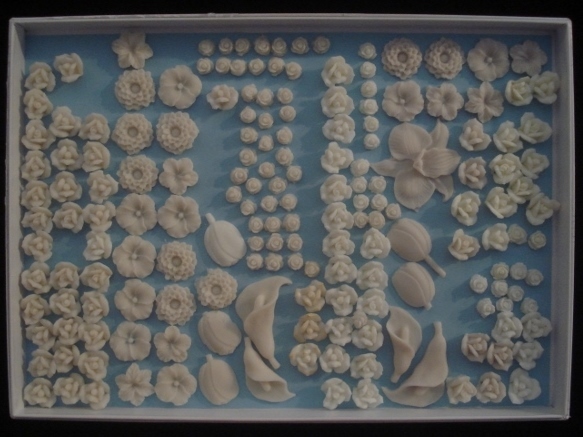 Listings within the categories on the left show a selection of previous work. 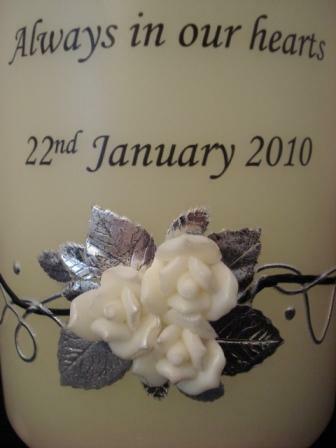 All candles are decorated to order, and you are welcome to mix and match to suit your own style, theme and colours. Click on individual photos for a detailed description and send your enquiry through the link provided on each page. We recommend you contact us well in advance of your event, however, we always try to accommodate urgent requests, so don't hesitate to get in touch! Here's just a small selection - to view more, please see testimonials. I received the gorgeous candles on Monday and they are absolutely stunning! I wasn't quite sure how you would arrange the wee ribbon around them and was worried the lavender will be a bit too dark but all my fears have disappeared. They are truly stunning and a real keepsake. They look amazing on those candle holders and are just a perfect matching set. I am so glad I found you and got you to do our amazing unity set and memory candle. They were all very carefully wrapped and beautifully presented and I am soo happy with them. They are not just candles but a piece of art that can easily just be put on display. I could not have asked for anything better and more beautiful. It is matching our theme and colour scheme perfectly and I just love them. So thank you very very much Brigitte for your hard work. You were a pleasure to work with. From the start, you listened to what we wanted and suggested arrangements to make it look even better and the results are astonishing! Your attention to details is fantastic and the whole process was easy and simple. Your replied to all my emails extremely quickly and the making of our little gems did not take very long. I will definitely keep your card and use your services again if I ever need candles for special occasions. You are truly an artist and I thank you from the bottom of my heart for the beautiful candles and contribution to our special day. Have a very Merry Xmas and a fantastic New Year! The parcel arrived this morning and I've just had a chance to check them all out, Brigitte, they are absolutely divine! Im totally blown away, I love them! Thank you so very much! They have all arrived in perfect condition so no worries there with the courier either. I am so very impressed by your product and your service. You were so accommodating and patient with all the too-ing and fro-ing with emails for the details I wanted. I didn't once feel like I was being a nuisance or inconvenience. The pictures/design proofs were great, the beautiful and careful packaging make it all the more special to receive, and of course the final candles themselves, which are AMAZING. Thank you so much again for your fantastic business and beautiful talent. I will send you some pictures of candles in their ceremonies, but I think I'm too afraid to light them, they're too special! I look forward to more dealings with you in the future and will definitely be talking about you as I'm fizzing about these! "The final product was more than we expected and we were so proud of it. My husband and I couldn't believe how beautiful [the baptism candle] was. A lot of people commented on the candle and a lot were saying they've not seen any candle like it before. We have passed on your details to friends and family who attended and asked about the candle and will continue to do so for anyone else who is looking for anything "candle". "My candle has arrived today and can I just say that it is beautiful! "Thank you so much, the candle arrived this morning and is beautiful - I will not hesitate to recommend you to friends and family, as I am so pleased that we ordered it from you! We invite you to browse through the various categories listed at left and trust we will soon welcome you as a treasured customer. Stuart & Ula's gorgeous candle set features carefully matched colours, text and ornaments - as seen in BRIDE & GROOM magazine issue 78. 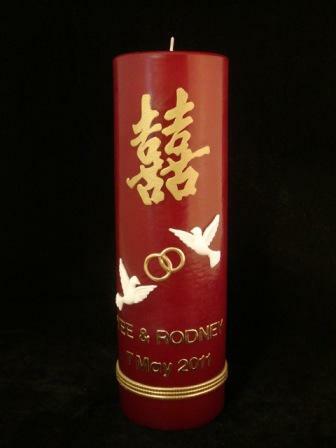 We are fond of this combined wedding & remembrance candle created for Beth & Ron. Follow us to view Mira & Fergus' beautiful wedding candles. 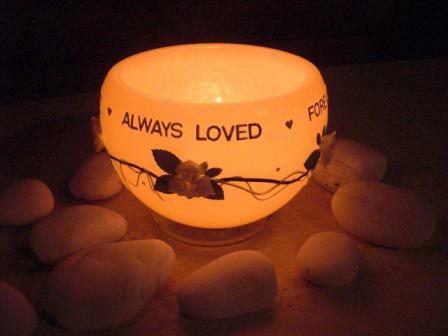 This beautiful Candle Bowl features on our Remembrance Candle page. Our very own BOBECHE (Wax Drippers) and candles are found under 'Churches'. View this stunning 'Double Happiness' candle here. 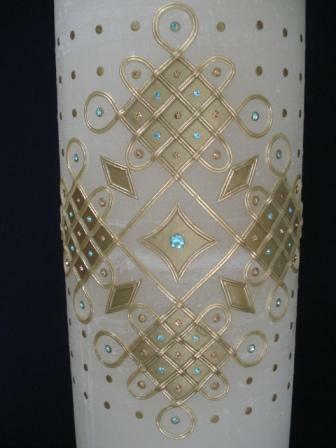 This intricate pattern features on one of our latest wax columns, it stands almost a metre high! To view please click here. 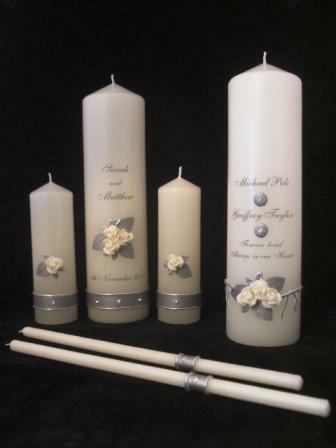 For Sarah & Matthew's beautiful silver rose candle set click here. 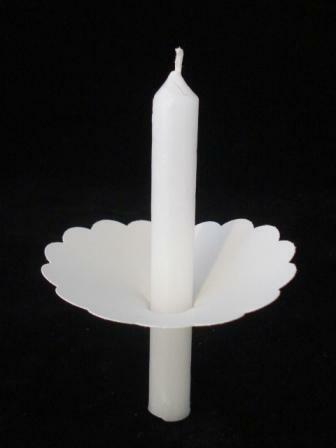 We have recently updated 'Remembrance' Candles' as well as Memorial Candles for Weddings. Take a look now !! View Lisa & Antonio's special Orchid Candle and more stunning photos in the Gallery.